The John F. Kennedy Funeral service and novel “Death of a President” is shedding new light on a very special American Flag. The flag was actually given to Lt. Samuel R. Bird (President John F. Kennedy’s Joint Armed Forces Casket Team Officer) after the autopsy of John F. Kennedy was completed. The flag was carefully unfolded and lightly placed on the casket during the funeral ceremony. In the heavily researched book, “Death of a President,” by William Manchester, he states how important this flag was to the United States citizens and the Kennedy Family. “On the bunting over the coffin, by the field of stars, was a small label: ‘Valley Forge Flag Company, Spring City, Pennsylvania.’ He thought how proud the makers of the flag would be to know that it had lain over a President, and he decided to write them a letter” wrote Manchester. Lt. Samuel R. Bird sent the letter to the Valley Forge Flag Company and it is now presented and framed on the wall at the headquarters building in Wyomissing. 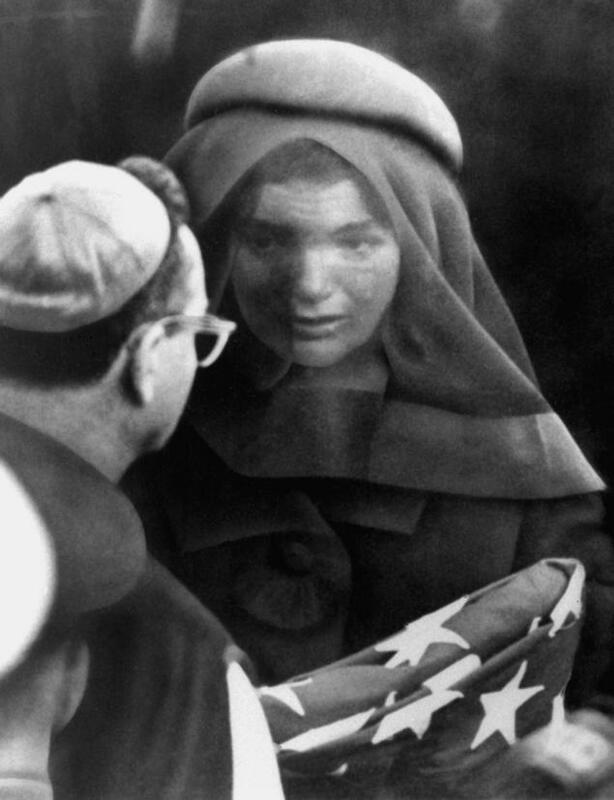 The beloved flag was carefully folded and given to Mrs. Kennedy. She was later photographed holding it close to her heart while walking away from the ceremony. To observe the 50th Anniversary on November 22, 2013 the John F. Kennedy Presidential Library and Museum in Boston will exhibit the flag along with the picture of Mrs. Kennedy holding the folded Valley Forge Flag. This is the first time that the Presidential Library and Museum will be focusing on JFK’s death, but they feel that it is now an appropriate time for citizens, young and elderly, to look at artifacts and have a sense of what the United States experienced when the assassination occurred. In conclusion, the flag not only represents the United States of America, but it represents hardiness, purity, and perseverance. The unity of our people and the diversity of the nation were joined together during this time, like most hardships. As for Mrs. Kennedy, it’s interesting to wonder if the parting gift of the Valley Forge Flag eased her pain and brought her peace during a time of sorrow. That’s the wonderful thing about American Flags, they can be given in remembrance to honor the brave who loved this country; closely knitting a forever lasting relationship.